#VarunDhawan who is making a name as a commercial and unconventional actor said, Creative satisfaction is a huge deal for him as an artist. Varun was spotted at October promotional press junket with Banita Sandhu and Shoojit Sircar here in Mumbai. 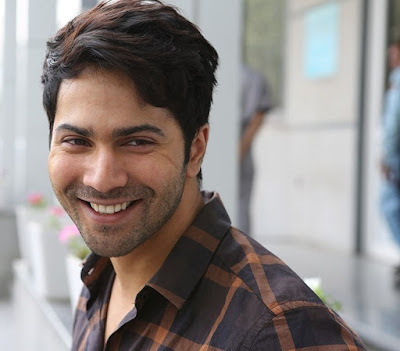 Noted for his commercial movies and larger than life characters, Varun Dhawan will be seen in never before seen role in romantic drama titled 'October'. While talking about balancing commercial cinema and different serious character Varun said, “This is basically actor’s requirement; this is not to show anyone. This is just actor’s hunger. I need this, if I don’t do this or something like this doesn’t come out of me, I probably will not enjoy. Creative satisfaction is a huge thing for an artist. I am not in a 9 to 6 job if I wanted to do something like that I would have become a producer but I am not that money minded. Somewhere after doing a couple of films like Badrinath, Judwa I couldn't smile, it was like someone turned on a camera and asked me to smile and crack jobs." Further adding Varun Dhawan talked about the film and his role, which required looking young. "I did this film only for youngsters, and this is the second time I am playing a young character after 'Student of the year'. I went on a special diet to look young, I had stopped working out but I was having sugarcane juice every morning." The film produced by Ronnie Lahiri and Sheel Kumar stars Varun Dhawan and Banita Sandhu in lead roles.